Home » Blog » Slider Revolution: Extended License Price Updated! 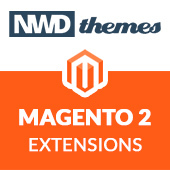 Many magento themes sold on ThemeForest come bundled with premium extensions from CodeCanyon. Each bundled extension require extended license. An extensions is an additional component that offers functionality and features beyond a typical Magento installation. Theme authors (who sell the themes) may choose to include certain extensions within their item to add these special functions and features to the theme package. And you, as an author, need to buy extended license in this case. We are happy to announce new price for Slider Revolution Magento Extension extended license – $179. Extended License is a special license for ThemeForest authors who bundle the extension with their theme for sale. Can the Extended license be used for multiple websites? The “Extended License” option can not be used for this purpose. Instead, the “Extended” license is a special license reserved for ThemeForest authors who package the plugin with their theme for sale on ThemeForest.net. 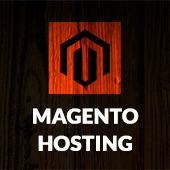 Can the Extended License be used for my Magento Multistore? The “Extended License” option can not be used for this purpose. Instead, you would need one “Regular License” for each individual website inside your multistore network. Can the Extended License be used for subdomains? The “Extended License” can not be used for this purpose. Instead, you would need one “Regular License” for each of your subdomains. Can the Extended License be used for subdirectories? The “Extended License” can not be used for this purpose. Instead, you would need a “Regular License” and then that could be used for all your website’s subdirectories. News, Slider Revolution discount, news, slider revolution. permalink.